No-Fad Diet – Does No-Fad Diet Work? 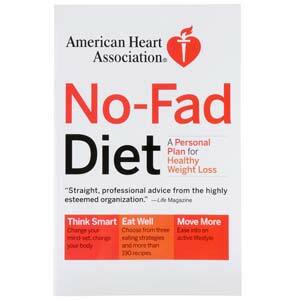 The American Heart Association (AHA) No Fad Diet is a straight forward way to tackle weight loss. 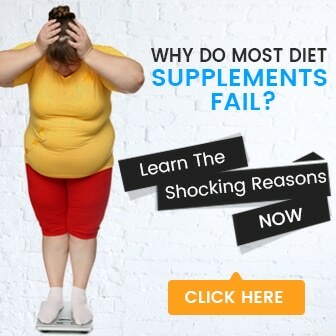 As you might have guessed from the name, this is the antithesis of the fad diet; in fact, it is made quite plain that there is nothing ‘magic’ about this diet and results will not occur overnight. The AHA site is plain and simple, presenting an overview of cardiac health and the Heart Association itself. There are no FAQ’s or testimonials on the site, but there are lots of information regarding healthy living — nutrition, exercise and family life. No-Fad Diet Ingredients and Why it Matters? It is suggested that a member of the AHA No-Fad diet buy a copy of the AHA No-Fad diet book, either from the website or another merchant. Other than the book, however, no other purchases are required. There are three major parts of that diet – Think Smart, Eat Well and Move More. The first component, Think Smart, prepares the user mentally and emotionally by planning, setting goals, thinking positively and getting past any self-defeating attitudes that may be present. The customer is pushed to expect upcoming events like holidays, parties, and evenings out, and learn the procedures for dealing with the possible ‘diet catastrophes’ that go along with them. The website also brings out how crucial it is to keep on going and realizing that one tiny mistake is not failing. “Eat Well” is the second part of the plan. This involves learning to watch calorie intake and prepare foods in ways that reduce calories and allow a dieter to stay within their guidelines. The use of a food diary is also recommended. A printable journal and weight loss goal pages are included in the online tools section. The last part of the diet, “Move More”, focuses on fitness, helping people learn to include daily exercise in their lifestyle, learn to calculate their heart rates and learn how to slowly increase their exercise to a full hour each day. This area gives advice and a variety of exercise programs that are appropriate for each lifestyle. What are the Pros of No-Fad Diet? The American Heart Association has an excellent reputation. The diet plan gives consumers a weight loss program that can work over time and with lasting results. The heart will be healthier, because of the diet’s improved eating and exercise regime. Weight loss maintenance and family health is featured on the website. The menu plans include all major food groups. What are the Cons of No-Fad Diet? Some dieters may find this diet too laid back for their taste. Personal support and coaching is not available on this site. It depends on the willpower of the dieter to get the results they need. The AHA plans does not incorporate any trends in their diet plan. The plan is good solution for long-term permanent weight loss. Its goal is to help people think differently about food and exercise, fostering a moderate approach aimed at mature dieters who seek overall health of mind and body.